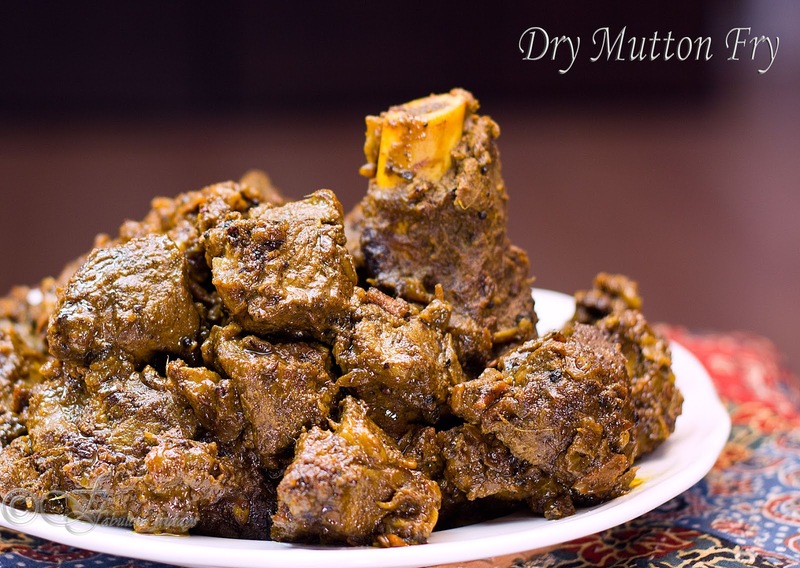 There are many curry bases for chicken, seafood, and mutton in Indian cuisine. Every region has its own unique twist based on the local spices and technique. Some have evolved over time while others have been influenced by travelers and culture shift. Chettinad chicken curry is a fiery and vibrant Tamil delicacy and very true to its roots. 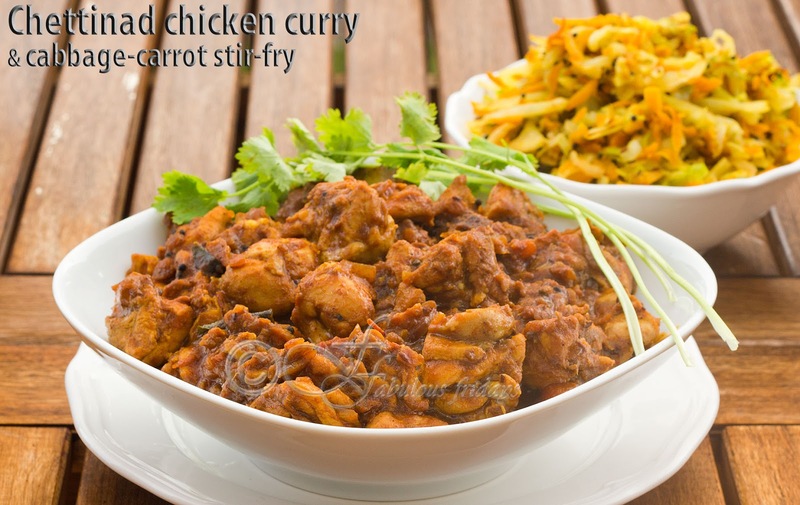 This culinary delight gets high marks for spiciness and is not for the faint-hearted. 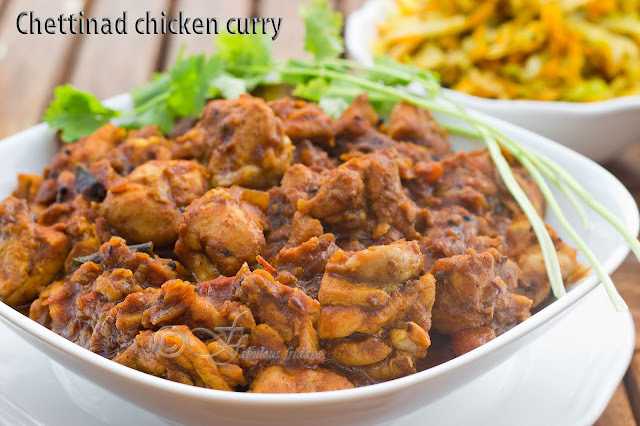 Chettinad Cuisine hails from the Chettinad region of Tamil Nadu, India and is renowned for its spicy vibrant curries with complex yet perfectly balanced flavor. The fiery gravy that forms the base for these curries is made with a combination of a few fresh ingredients and freshly ground local spices. 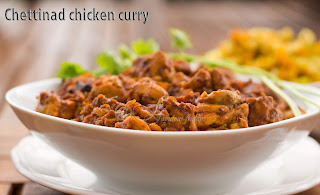 Chettinad masala is a fiery delicious blend of spices and a key ingredient in many dishes from the Chettinad Cuisine. It is loaded with red chilies and coconut and earthy spices like cumin, coriander, fennel, cinnamon along with some local spices like star anise and kalpasi. The distinct aroma of freshly ground spices that engulfs the air while making this blend is enough to make me drool. I usually serve this chicken curry with plain steamed rice or roti, a side of cabbage and carrot stir-fry dish and a cup of buttermilk to tone down the heat. The mild taste of the accompaniments compliments the fierceness of this curry. I keep the spice level high in my curries. If your spice threshold is different then use a few less dry red chilies. Store in an airtight container for up to 10 days or refrigerate. Use this masala to make chicken, fish, shrimp or lamb curry. Vegetarians and vegans can use it for vegetable stir-fries or veggie curry using tofu or potato or eggplant etc. Clean and dry the chicken and cut them into 2X2 inch pieces. 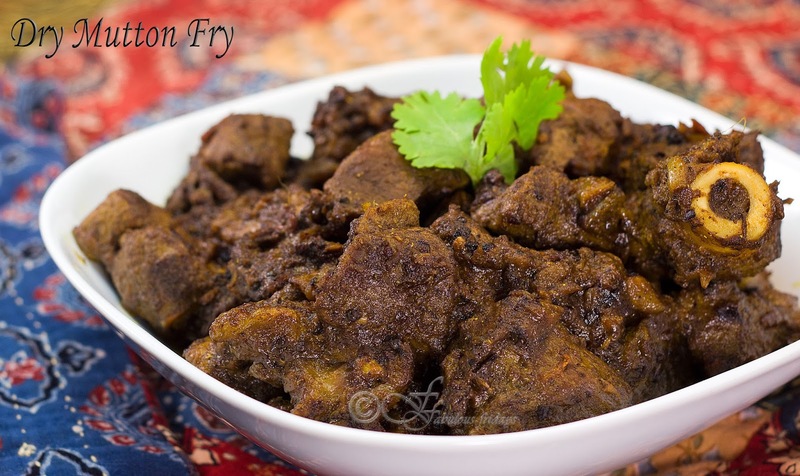 Prepare Chettinad masala according to the recipe. Season the chicken with some salt and about 5 tbsp of Chettinad masala. Refrigerate till ready to cook. You can marinate the chicken for about 4-8 hours. Heat oil in a pan on medium high. Add cumin and mustard seeds and let them roast for a few seconds. Add the bay leaves and chopped onions. Saute for a few minutes till pink. Add the ginger garlic paste and continue cooking till onions turn golden brown. Now add the tomatoes and tomato paste and cook for a few minutes. Add the marinated chicken, turmeric powder and salt to taste. Remember chicken is already seasoned so use salt accordingly. Continue cooking for another 3-5 minutes on medium high stirring often. Add a ¼ to ⅓ cup of water and mix well. Cover and simmer for 5-7 minutes till chicken is cooked through. Adjust the amount of gravy as desired (by either adding more water or boiling off excess liquid). Serve hot garnished with chopped fresh coriander and plain rice or roti. Heat oil in a pan and add the cumin and mustard seeds. Let them crackle for a few seconds. Add cabbage, carrots, and ginger. Mix. Add all the dry spices and mix well. Sprinkle a couple tablespoons of water and mix well again. Simmer, cover and cook for 5 minutes till a little tender. Sprinkle some freshly chopped coriander and serve hot. 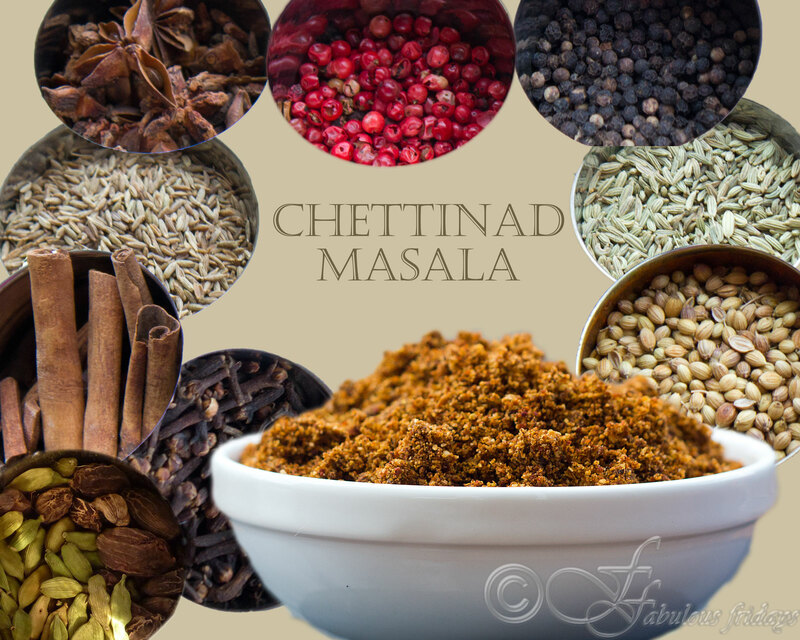 Chettinad masala is a fiery delicious blend of spices and a key ingredient in many dishes from the Chettinad Cuisine. 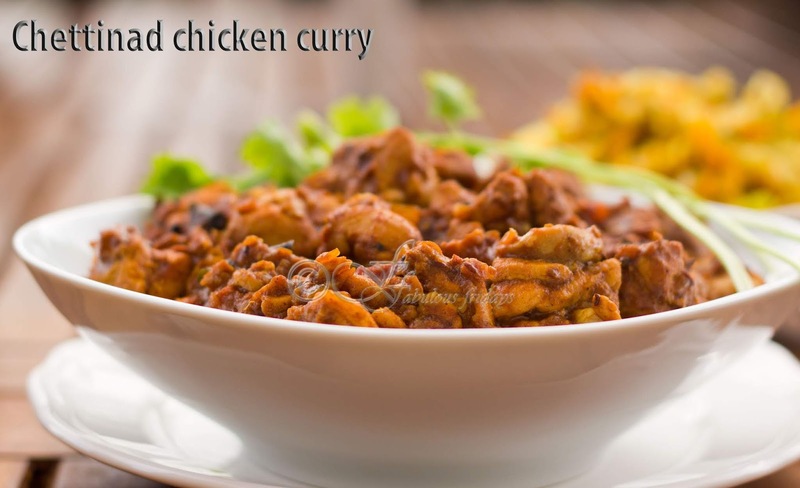 Chettinad Cuisine hails from the Chettinad region of Tamil Nadu, India and is renowned for its spicy vibrant curries with complex yet perfectly balanced flavor. 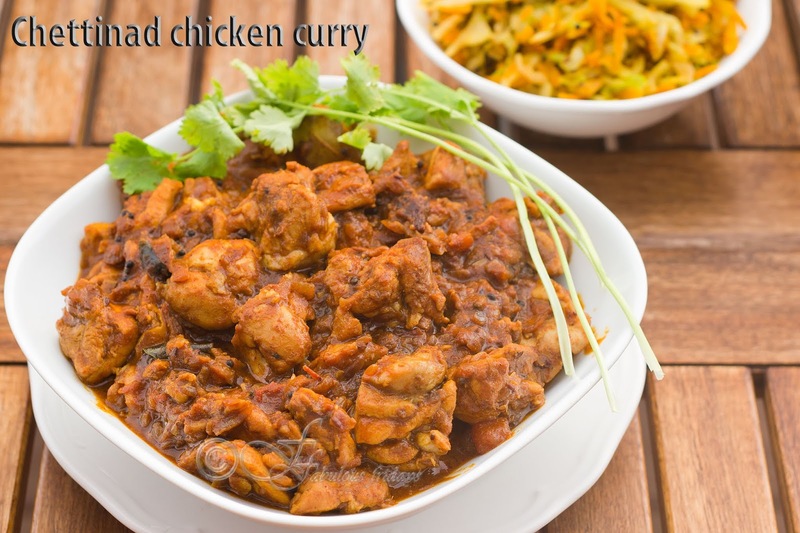 The fiery gravy that forms the base for these curries is made with a combination of a few fresh ingredients and several freshly ground local spices. Chettinad masala is loaded with red chilies and coconut and earthy ingredients like cumin, coriander, fennel, cinnamon along with some local spices like star anise and Kalpasi flower. The distinct aroma of freshly ground spices that engulfs the air while making this blend is enough to make me drool. I keep the spice level high in my curries. If your spice threshold is different then use a few less dry red chilies in the recipe. Store in an airtight container for up to 10 days or refrigerate. Use this masala to make chicken, fish, shrimp or lamb curry. Vegetarians and vegans can use it for vegetable stir-fries or veggie curry using tofu or potato or eggplant etc. Dry roast all the ingredients except paprika. I like to roast all these separately as each has a different roasting point. Place all the spices in a grinder and grind to form a coarse mixture. Store in an airtight container for 10 days. Smashed avocado on a perfectly toasted Multigrain Rye, sprinkled with salt and freshly cracked black pepper - pure bliss, our favorite Sunday Breakfast. Quick to prepare and rich in heart-healthy fats this classic avocado on toast makes for a healthy start to your day. If you love avocado toast then here are six delicious ways to make it even fancier. All these recipes are perfect for lunch/brunch, and taste just awesome. Choose perfectly ripe avocados - Gently squeeze into the avocado and feel it give a little. This level of ripeness will mash and spread easily. For slicing, you can choose slightly less ripe ones. Toast your bread to perfection - Toasting your bread properly is super important to a perfect avocado on toast. The contrasting texture of a crisply toasted slice to the silky rich avocado spread is a match made in heaven. Most wholegrain varieties take longer to reach the perfect crispness while the fruit and nut bread will toast rather quickly. Another technique that works really well is brushing a dense multigrain slice with a little oil and toasting it on a hot griddle until crisp. 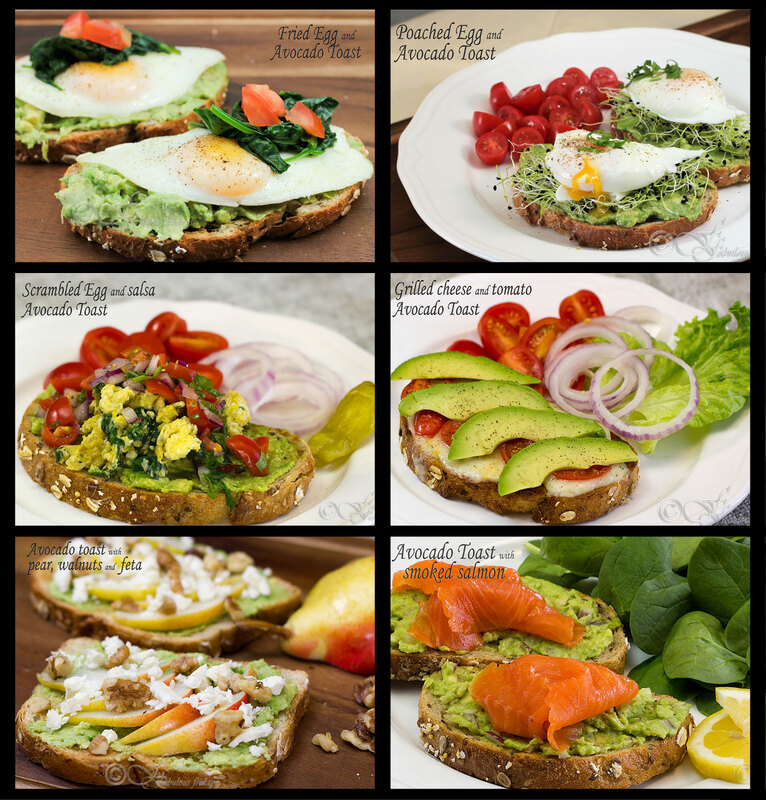 Try selecting a bread that complements the toppings - A good dense bread will work best for all avocado toast recipes but there are some combinations that enhance the flavor quotient. Sourdough or rye work really well with avocado and tomato. If you’re topping it with smoked salmon, try seeded bread or bagels. A fruit and nut bread is super delish if you are topping with pear slices and feta. Multigrain works well for almost any topping. Avocado on toast with sunny side up fried eggs and wilted spinach. An egg is essential to this lineup. In a moderately hot skillet add a teaspoon of olive oil and a large handful of spinach leaves. Saute for a minute till spinach wilts a little. Keep aside. Fry a couple of eggs sunny side up, season with some spiced salt. 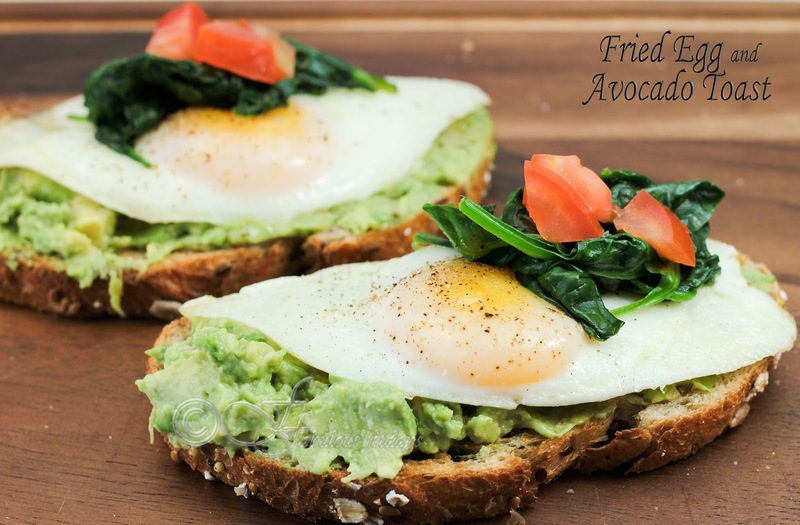 Spread mashed avocado on toast and top with the fried egg and a large spoonful of warm spinach. 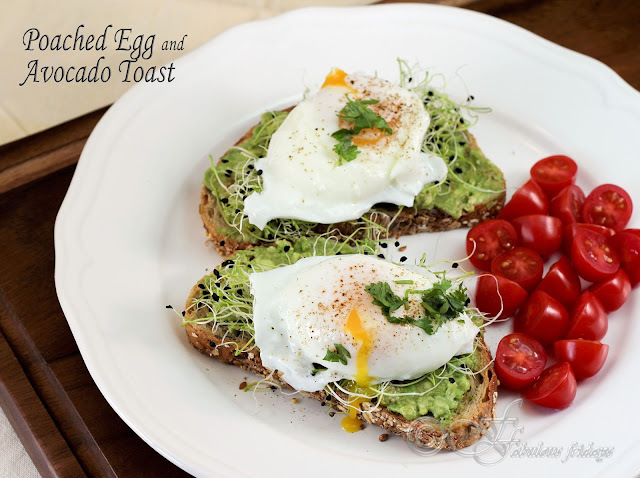 Avocado on toast with poached eggs and fresh seed sprouts. Unique onion flavor and texture with onion sprouts. Toasted bread spread with mashed avocado. Seeded bread/bagel works well here. A thin layer of onion sprouts. Topped with a poached egg and sprinkled with seasoned salt. Cherry tomatoes on the side. 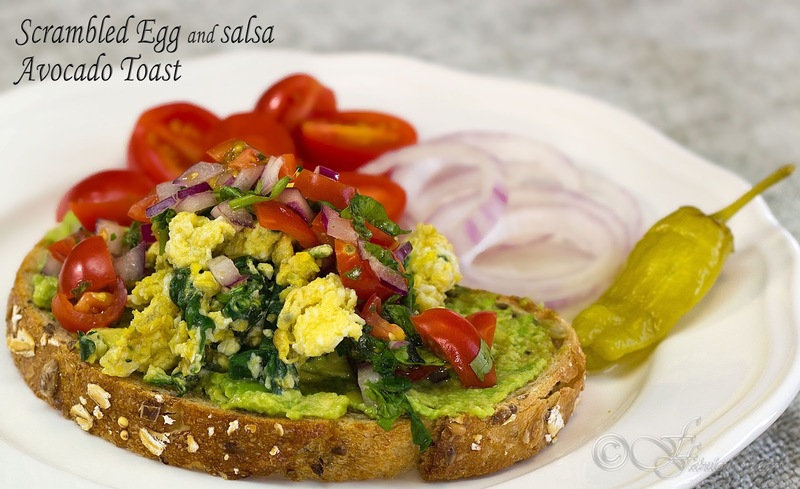 Avocado on toast topped with herbaceous scrambled eggs and pico de gallo. A hint of Mexican flavor. Scramble an egg and mix chopped fresh coriander and salt and pepper to taste. Keep aside. Mix finely chopped red onion, tomato, and fresh coriander. Season with some salt and pepper and some lime juice. Keep aside. Toast bread until crisp and spread with mashed avocado. I recommend multigrain bread. Top it with scrambled egg and a heaped tablespoon on Pico de gallo. 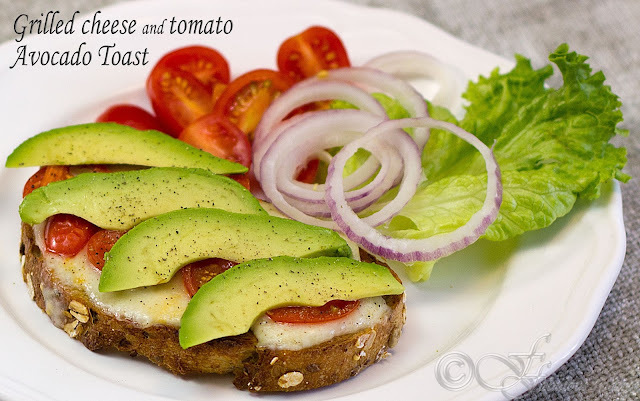 Grilled cheese-n-tomatoes on toast topped with avocado slices & freshly cracked black pepper. When tomatoes are in season, this is a must make combo. A great vegetarian option. Rye or sourdough bread pairs well with grilled tomatoes. Top toast with cheese of your choice and sliced tomato, grill till crisp and cheese had melted. Top with avocado slices and season with freshly cracked black pepper. I would recommend some red chili flakes on top as well. An evergreen combination perfect for brunch. A fave with my daughters. 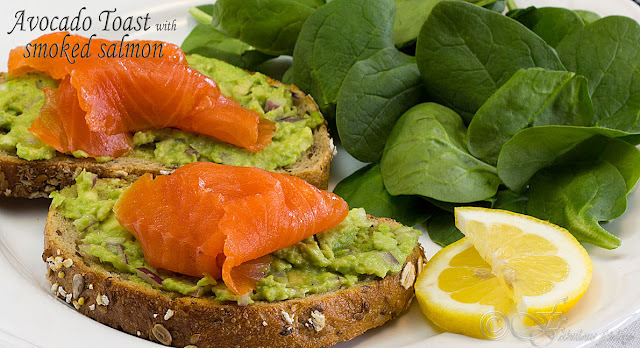 Avocado on toast with smoked salmon and fresh greens on the side. A feel-good combo. Mash avocado and season with salt and pepper. Add some finely chopped red onion and mix well. Seeded bread or bagels pair well with smoked salmon. Spread on a toasted slice of bread. Top with a couple shavings of smoked salmon. Serve with baby spinach and lemon slices. 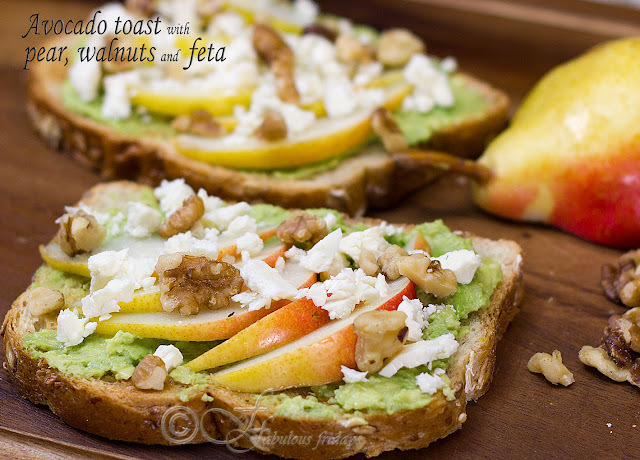 Avocado on toast topped with pear slices, walnut bits, and feta cheese. A dose of healthy fats! Choose firm but ripe pears. Slice thinly. 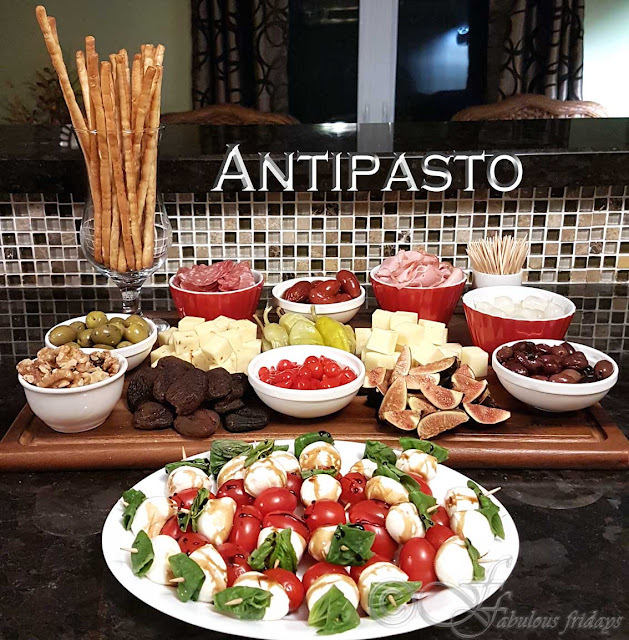 In our family, we prefer feta cheese in this setup as the salty taste contrasts well with the slightly sweet pear slices. Choose your preferred cheese. I recommend choosing a fruit and seed bread such as raisin or cranberry and pumpkin seed variety. Spread mashed avocado on a toasted slice of bread and top with a few thinly sliced pears and sprinkle with some chopped walnut pieces and crumbled feta cheese.